Dual time and a repeater-style alarm chime. 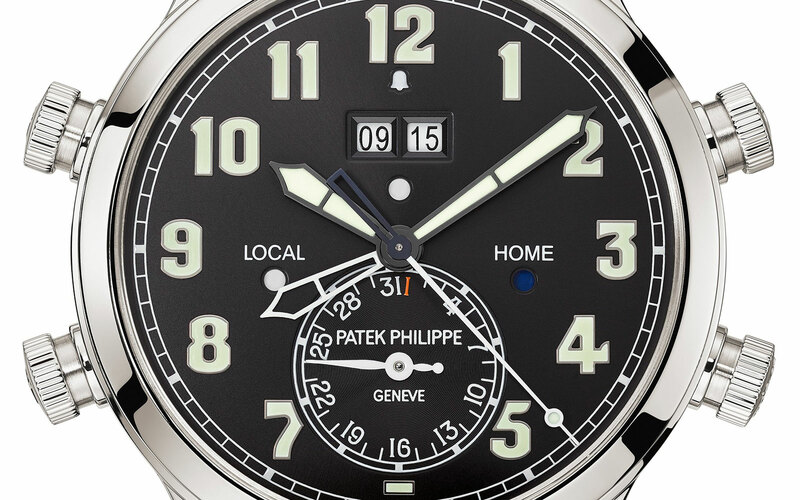 Patek Philippe’s latest “Grand Complication” is an unusual one – a dual time with a minute repeater-style alarm mechanism. 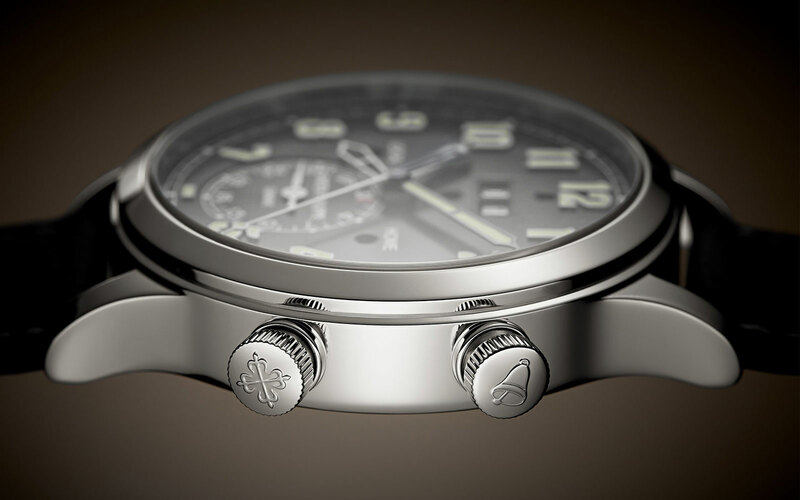 Styled like the Calatrava Pilot, the Alarm Travel Time ref. 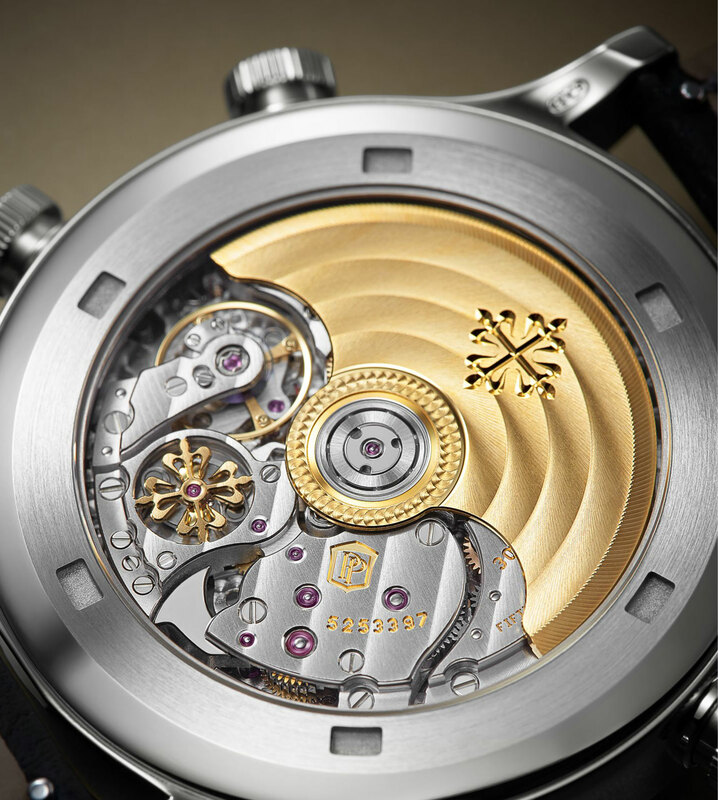 5520P is powered by the newly developed AL 30-660 S C FUS movement featuring four patents. 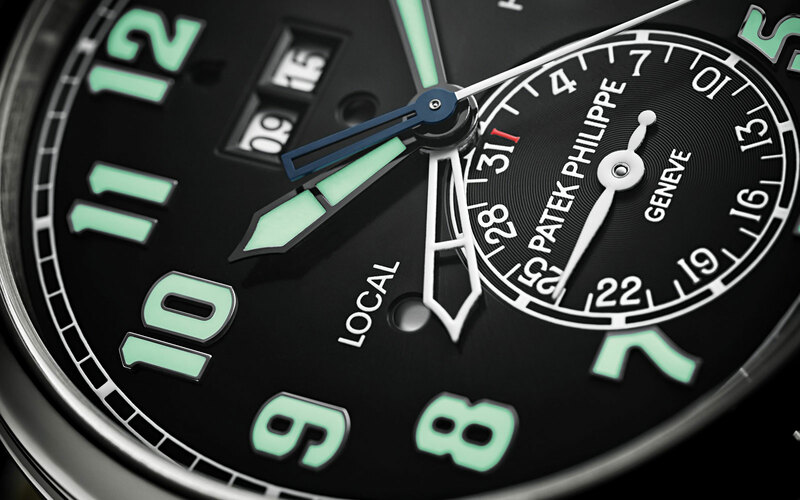 The crown at two o’clock sets the digital alarm time, which is displayed in two apertures below 12 o’clock. And whether the alarm time for the day or night (white and blue respectively) is indicated by the circular window just below. Lastly, the bell-shaped window just below “12” indicates whether the alarm is on or off. 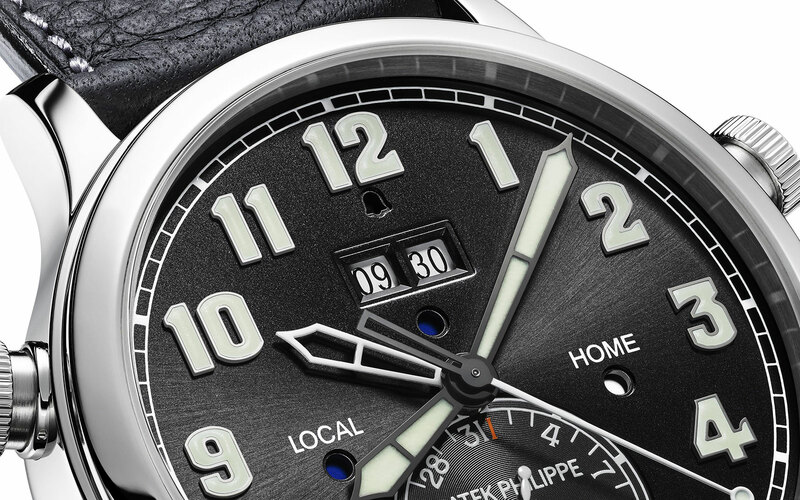 Unlike typical alarms watches that rely on a fairly crude mechanical buzzer, the Alarm Travel Time relies on a hammer striking a gong, and is regulated by a silent governor (visible beneath the gilded Calatrava cross on the back), just as in a minute repeater. The two other crowns on the left side of the case are for adjusting the second time zone hand forwards or backwards, in one hour steps. 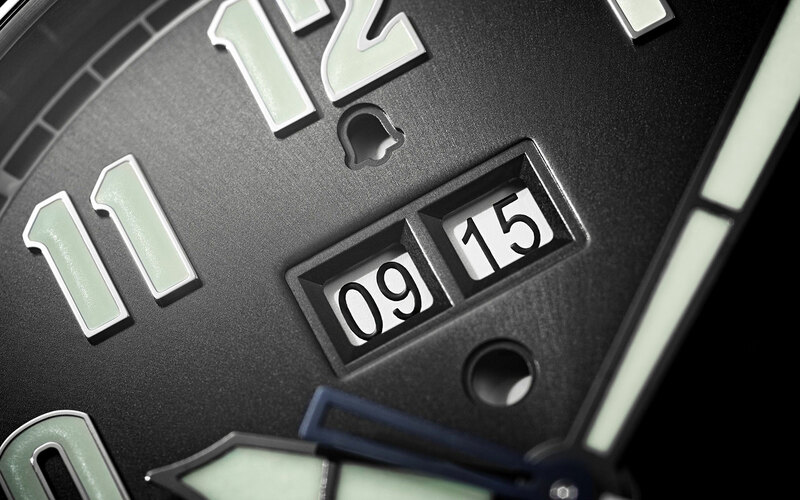 The dial is black with a radial sunburst brushing, with applied Arabic numerals in white gold. 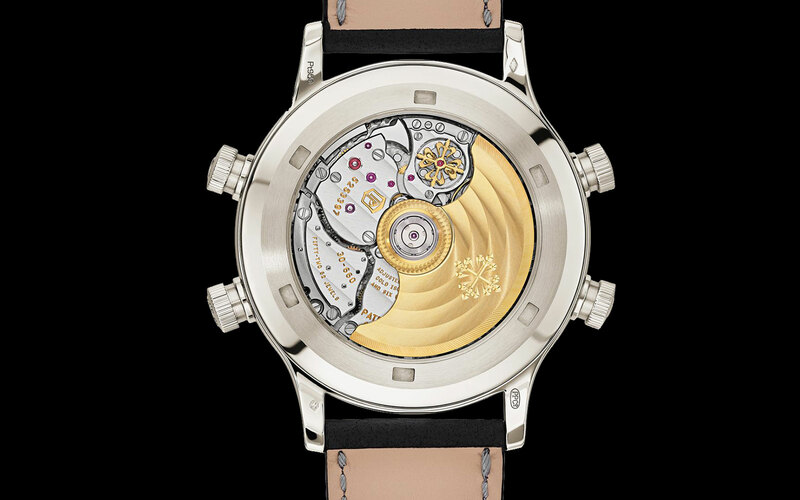 And the case is platinum, and a fairly large 42.2mm wide and 11.6mm high. The Alarm Travel Time ref. 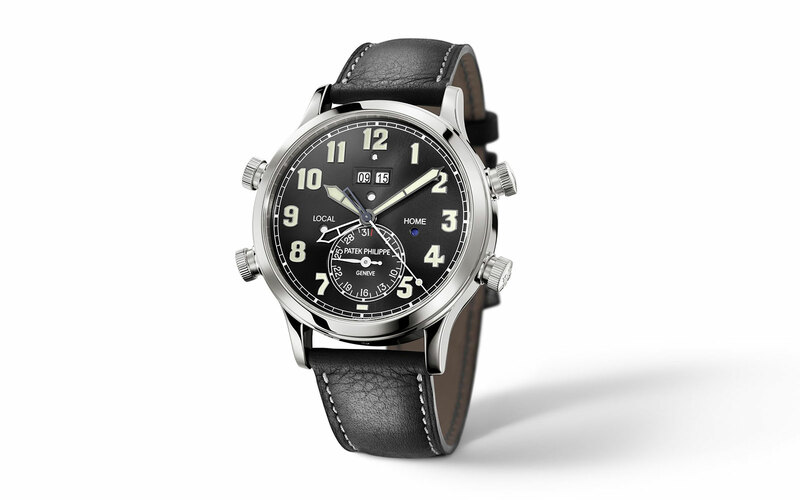 5520P is priced at 200,000 Swiss francs, which is equivalent to about US$200,000.